At Berard, Safety Is Our Top Priority, Period. To emphasize this, every Berard employee participates in our “Safety Pays Program”. The program rewards each employee based on their attentiveness and dedication to safety each month with gift certificates to local retail business. 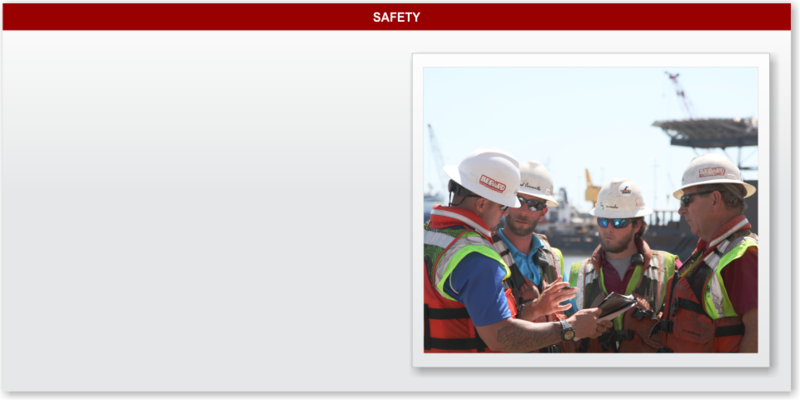 This program has proven encouragement and dedication between all employees to keep safety at the forefront of every project. Berard Transportation thoroughly trains every employee in the operation of each piece of equipment they will be responsible for. Primarily, every field employee for Berard Transportation is trained and certified in forklift operations and rigging practices upon hiring. When involving equipment operations, we believe great equipment only works as well as the operators. Therefore, All Goldhofer transporter operators go through a meticulous training sequence including classroom time as well as on the job training. Operators are only classified based on their skill level after they complete the training, and are assigned to tasks on a ranking basis. Operators may always advance ranking, but only after demonstrating excellent proficiency to upper company management. With this system, Berard ensures every operator is appropriate for each assigned task.